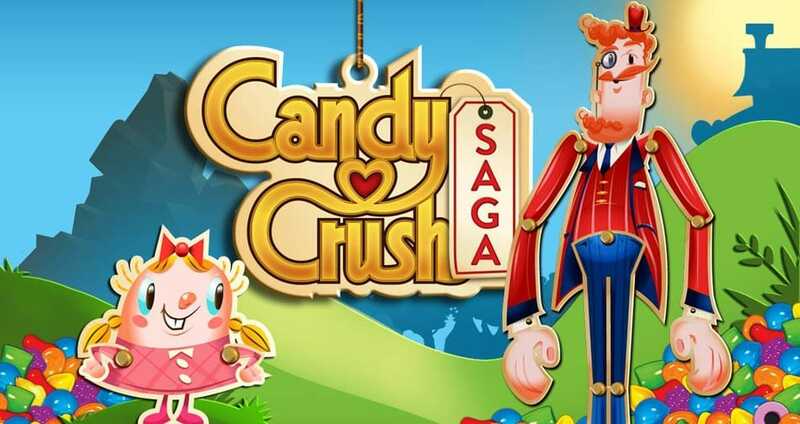 Candy Crush Saga is one of the latest instalments for this app that can be found on Facebook, Android and iOS devices. When problems arrive with Candy Crush it isn’t normally thanks to the app being down, but rather issues after it won’t load, open, or with the in-app purchases. Users also report crashing on certain Android devices or when bugs are found in iOS. The game is extremely popular on Facebook with millions of monthly users, so as you’d imagine there’s a range of problems being seen from social networks to smartphones and tablets. If Candy Crush is down today, then reports will be found below. Candy crush is reshuffling seven times in seven seconds and then says I have run out of shuffles and says game lost. I have not been able to get candy crush saga to load for a few days, now. When will it be fixed? I thought it was my computer, but I guess not. Candy Crush return with message “An error occurred, please try to re-login facebook and try again later” Running with chrome or firefox and windows 10 and in other computer windows xp and chrome. 2/21/2018 at 2:16 pm EST. candy crush not loaded up both on web and mobile. I canâ€™t open my treasure chest. Any ideas what to do? I can’t send requests to my friends asking for a life, I go to the menu, select friends, click send request and everything freezes, then I have to reload the game and it works fine..Another thing, when I pass a level, it won’t go on the next one, so I have to reload the game, again, and then continue..
Everytime I join a bomb with another candy or combine 2 stripes or a stripe with a wrap or bomb.. when it explodes it completely stops… it shuts down completely… this has been happening now for about 3 or 4 days.. is there anything I can do or is it something with the game? i’m on level 1422 and the same thing has been happening whenever I play the game. I’ve even tried using 2 other browsers with the same ‘crash’ result. I deleted my Facebook account in October but have been using candy crush fine. Today I can play but won’t let me get bonuses or anything (inc. Daily spin) unless I login with fb. Does anyone else have the same issues? After I hit play, I get a screen that has buttons 0-4. There is an “x” but it won’t let me exit. Nothing happens when I hit the buttons either. I have powered my phone off, but that doesn’t help either. Anyone know how to fix the problem? iPad and iPhone apps are stuck at level 2780 after completing it 2 weeks ago or more…PC version is way ahead on levels. Same here…can’t get past level 2780 on iPhone or iPad…computer version is way ahead on levels. Candy Crush cheats. I know for a fact that I’ve completed my moves and it says i failed. Game won’t begin, there is a sign on the front page saying Closed for the Season??? Stuck on 1925! Won’t move me on. I am stuck on level 2690 and it won’t advance to level 2691. I’ve completed level 2690. Stuck on the train. Same here. I’m stuck at 2705. I have completed level 2,225 about 15 times but the game will not let me move on to the next level. Iam so prostrated as my candy crush freezes for two days now! I think I better stop playing this from now on! Since last night Candy crush saga goes to black screen when press ‘play’. Anyone else had this problem? Candy crush not loading on iPhone, very frustrating after 2 days, I’m ready to delete it for good. I am on game 1810 and only have 45 seconds to complete where as on the tips pages it has 90 seconds, can anyone explained this because players are complaining they can’t finish it in 90seconds how am I supposed to on 45? All day today after I play about five games I am unable to make any moves, the whole screen just freezes I installed a critical window update yesterday for windows 10 OS and ever since then it crashes constantly after five games…grrrrrrrr…. When the word loading comes on its very faint then just cuts out. Actually it was level 2595 and it finally stopped giving the checked candies which allowed it to finish. Am playing candy crush and want to use gold bars to buy lives. I have 167 bars but when I go to buy 6 hours play it says no internet connection but I have internet connection and am using other sites. What is the problem folks, can anyone help? I’m on level 1327 been there for the last two months can’t or it will not let me win even when I do win. Every time I get close to a win the game locks up and will not move until I turn it off. I have used my boosters bombs and hands to get the two Apples and two cherries to fall thru then when that happens and the others start to pop and add points it locks up again and again every time. Now when I don’t have a chance to win it will let me make all of the moves. I’m at the end. So I going stop playing any of kings games that I have been playing for last three years. 5/15/2017. Candy Crush won’t load up on Google Chrome and Edge browser. The version I play on PC through facebook is acting like the app version available for mobiles. I do not like that version, nor can I seem to revert it and it’s especially annoying when I can’t access the moonstruck levels. One annoying thing is that it does not run in the background, so I can’t just alt+Tab to other stuff while I wait for end of level animations etc. I can’t see any way of changing it, plus even when I play online through facebook it still tells me that I should connect to see my rewards; even though I clearly am connected. Fix whatever the hell you did to it please.